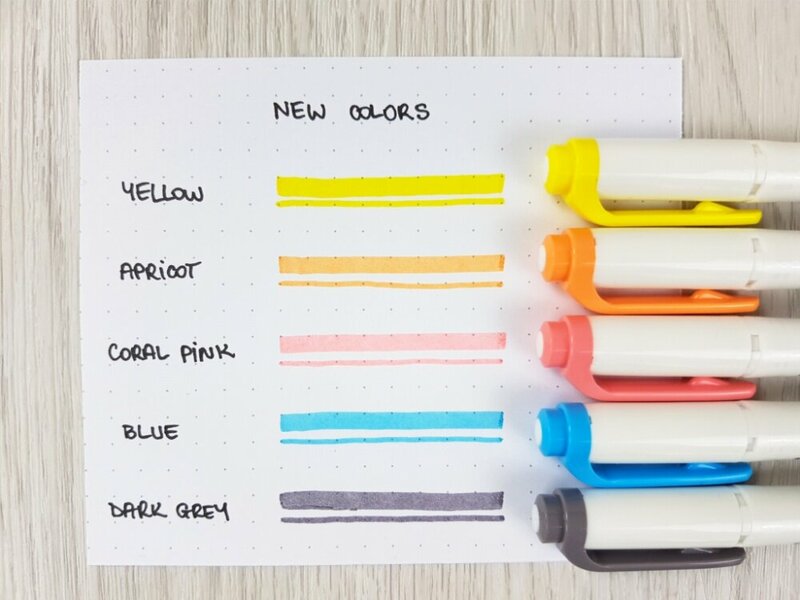 Featuring softly-colored ink, the Zebra Mildliner is perfect for the times when you want to highlight something without overwhelming everything else on the page. It features water-based ink and a convenient double-sided design—a standard chisel tip on one end for normal highlighting and a fine bullet tip on the other for underlining, circling, and writing notes. 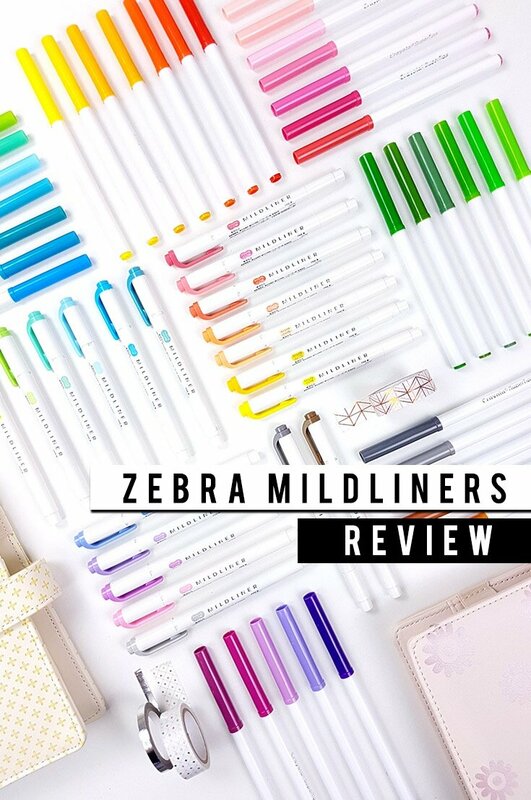 Zebra Mildliner Double-Sided Highlighter - Fine / Bold - 5 Cool & Refined Color Set (WKT7-5NC): Mild Red, Mild Violet, Mild Gray, Mild Dark Blue, and Mild Green. 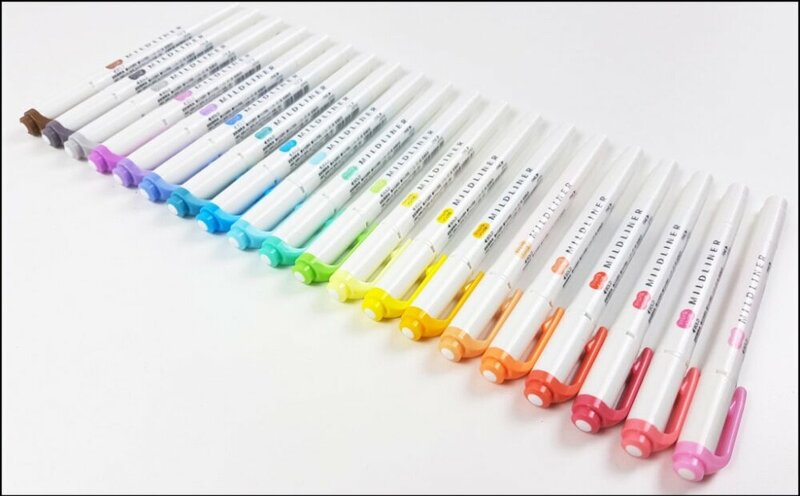 Zebra Mildliner Double-Sided Highlighter - Fine / Bold - 5 Mild & Fluorescent Color Set (WKT7-5C): Mild Blue, Mild Blue Green, Mild Yellow, Mild Orange, and Mild Pink. 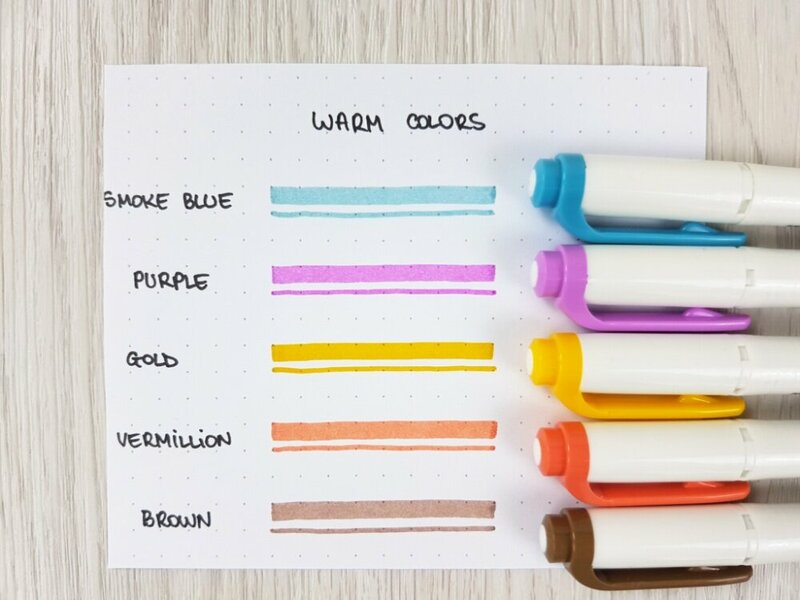 Zebra Mildliner Double-Sided Highlighter - Fine / Bold - 5 Deep & Warm Color Set (WKT7-5RC):Mild Brown, Mild Vermilion, Mild Gold, Mild Magenta, and Mild Smoke Blue. If that’s the case then you’ve come to the right place, because I’m gonna put the Mildliners to the test and help you decide if you wanna grab these. The Zebra Mildliners are one of the nicest looking pens in my collection. The design is very clean and cute, and the combination of white and pastel colors is a real eye-candy for anyone like me. 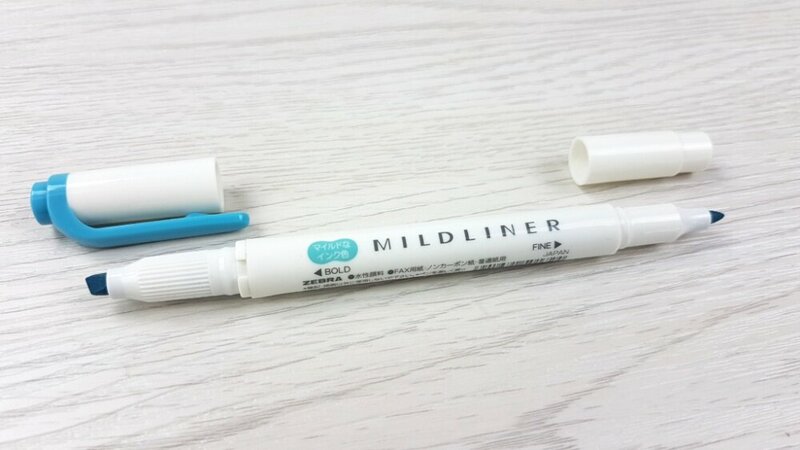 The Mildliners are dual-ended (which I had no idea about when I first got them because the Fine tip cap is white and blends in with the body), with a highlighter-like Bold tip and a Fine tip. The Bold tip is approx. 3mm thick and the Fine tip is 1mm. 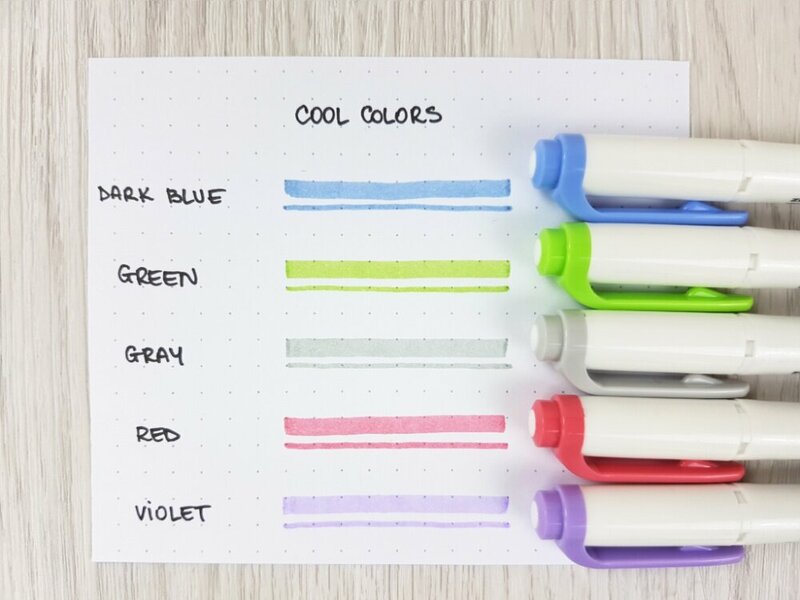 The ink is waterbased and all the Mildliners are “juicy” enough to get a smooth, consistent color. And on that note, I’d like to mention that after taking the pictures for this blog post, I forgot to put the caps on one of the Mildliners and only noticed it the following day. To my surprise, the Mildliner hadn’t dried up at all, even after more than 18 hours left uncapped. Which is not something I could say for other markers. So there’s that. So let’s break ’em down. 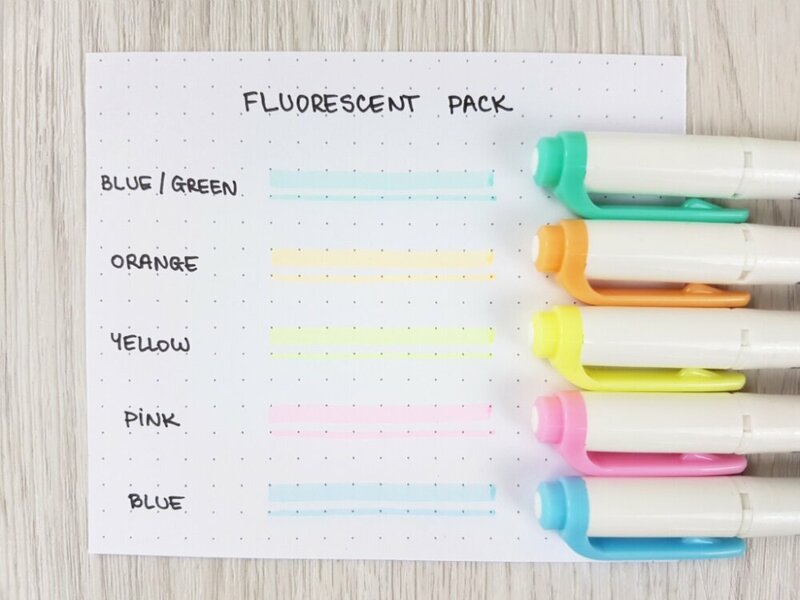 The ‘Fluorescent Pack’, as the name suggests, is the only one that contains colors resembling ones of highlighters. The Orange, yellow and pink are quite bright and fluorescent, while the blue and blue/green are more pastel (which I love). The colors in this pack remind me of a very cozy Autumn scenery. They may look a bit brighter in the picture, but they’re softer in real life. My #1 favorite from all the Mildliner colors is the ‘smoke blue’. 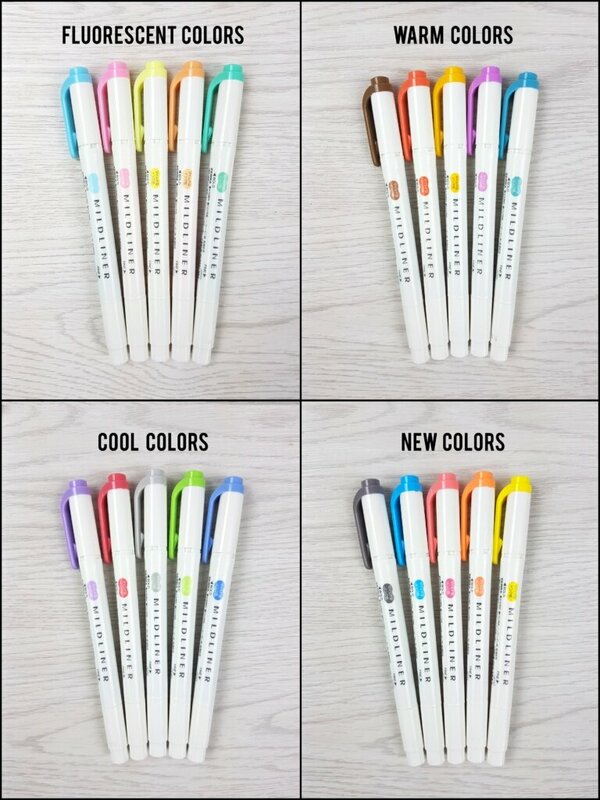 The cool colors are very soft and muted, and I can see myself creating full spreads with each of these.